The directly elected parliament of the EU’s citizens called on the EU’s 28 member states represented in the Council of the EU to advocate the creation of a UNPA at the upcoming 73rd session of the United Nations General Assembly which will start in September. Other supporters of the call for a UNPA in the parliament’s committee on foreign affairs included Elmar Brok (EPP), Soraya Post (S&D), Juan Fernando López Aguilar (S&D), Helmut Scholz (GUE/NGL), and Andrey Kovatchev (EPP). Proposals for Reform of the United Nations: Are they sufficiently radical? 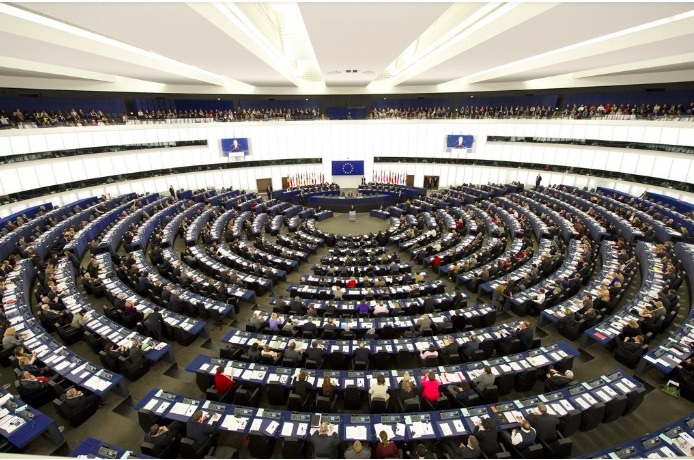 The European Parliament’s resolution was welcomed by Ivone Soares, a parliamentarian from Mozambique and a member of the African Union’s Pan-African Parliament. “With resolutions passed by the European Parliament, the Pan-African Parliament and the Latin-American Parliament, the time has come for progressive governments in these three major world regions to consider the creation of a United Nations Parliamentary Assembly,” Soares said. “From the many initiatives in favor of a more peaceful, fair and democratic world the creation of a UN Parliamentary Assembly is the decisive one. The recent support given by the European Parliament to this proposal shows that the members of the most important supranational parliamentary body are ready to work for its creation,” commented Fernando Iglesias, a member of the Chamber of Deputies of Argentina. Jo Leinen, Ivone Soares, Daniel Jositsch and Fernando Iglesias are co-chairs of the parliamentary advisory group of the international Campaign for a UNPA which has been endorsed by over 1,500 elected representatives worldwide. The campaign’s secretary-general, Andreas Bummel, said that the European Parliament’s call for a UNPA was “a bold and important step at a time when multilateralism is under attack.” “Governments interested in defending and strengthening the UN and democracy worldwide should urgently work for the democratisation of global institutions and a UN Parliamentary Assembly is a key to achieve this,” he added. Recently, the Irish foreign minister Simon Coveney stated that Ireland was “open minded” relative to proposals for a UNPA. Earlier this year Jo Leinen and Andreas Bummel published a book on the history, today’s relevance and future implementation of the proposal of a world parliament and on improving democratic world governance.